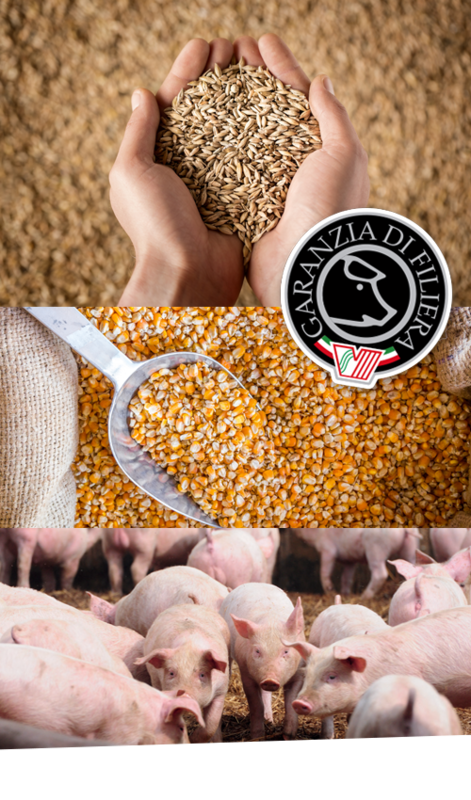 For more than a century, the many stories of our production chain at Salumificio Valpolicella are repeated day in and day out, because a short chain of supply is far more than a business decision: it’s an act of love for our livestock and respect for our consumers. Each daily operation is conducted with the perfect balance between tradition and innovation: the process follows the techniques of long ago, modernised with the contribution of technology designed to assure consistently high standards of safety and quality. Adequate facilities and spaces, short transport distances, local slaughtering with zero-mile raw materials: the entire process is performed exactly as it was a century ago, but with the safety and innovation that comes with the contribution of modern technology. And like every story with a happy ending, the ending of our own story leaves a smile on every face, thanks to the guarantee of greater animal welfare, our environmentally sustainable approach and the production of the best prosciutto, cooked hams, cured salami, mortadelle, Frankfurters and Lyoner sausages, pancette, speck and cured meats, plus many other specialities. Interested in playing a part in our story? Just write in or call so we can start the conversation!